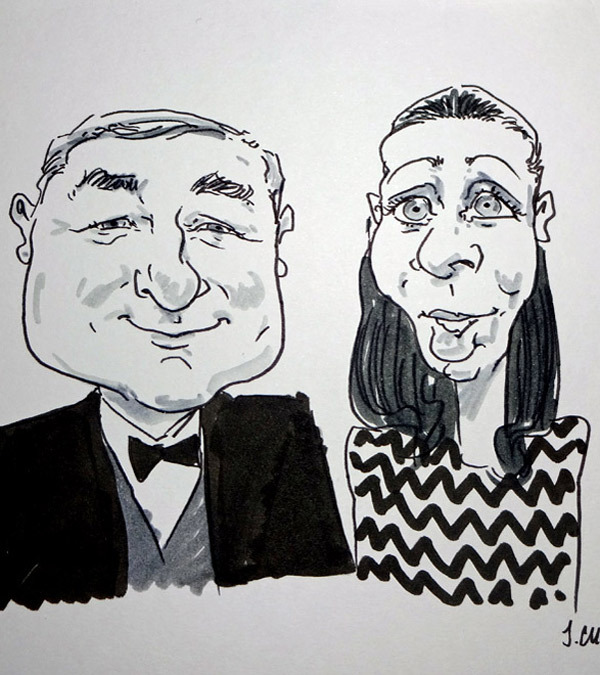 Sample live caricature drawing of guests at a legal firm's Christmas Party; a Black Tie ball. Live caricaturist available for weddings and events in Leicester the West Midlands! Email your details to find out the price for live caricature at your event.